At FinovateEurope next week, 64 companies will gather in Old Billingsgate Hall in London to show off their newest fintech innovations to an audience of bankers, VC’s, press, and fellow members of startup communities across the globe. To give you a better idea of what each company will demo on stage, here’s a word cloud of the main topics. 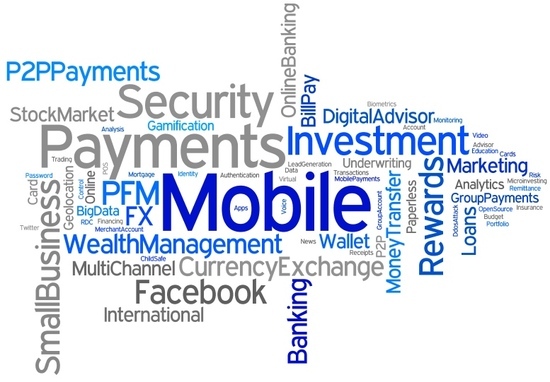 As you can see, there’s a large variety, but it’s no surprise that mobile and payments are well represented. 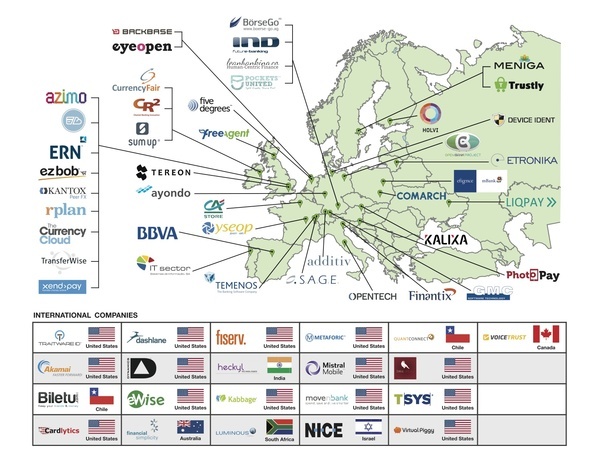 As we inch closer to what’s shaping up to be Finovate’s largest international show so far, we thought you’d be interested in the geographic and topical distribution of the demoing companies. Interested in seeing these companies demo live? There’s still time to get your ticket to FinovateEurope 2013.